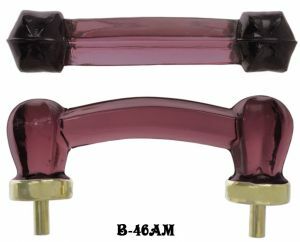 Nice 3" boring glass bridge handle. The handle has a light shining into it for the photograph. It's actually a softer purple color. 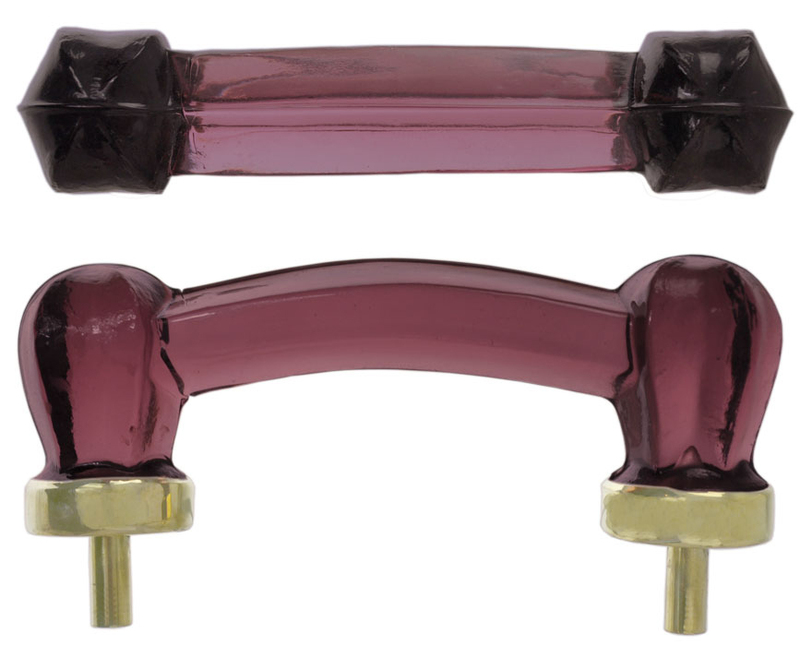 All of our knobs and handles are made with antique glass making equipment by hand pressing. Therefore some slight exterior and interior occlusions may occur just like the antique knobs of year 1900 and before. Perfect for the antique aficionado who insist on accurate ambiance. 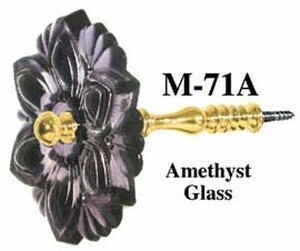 Matches our amethyst glass knob K-46AM .